Jack's alarm clock had rung. Mike was already up. Mike and Jack went to the kitchen to get their breakfast. Then Mike went outside to check the mail - they had an urgent message. Max had found the location of a big gold mine. Mike got on his motorcycle - Jack got into his car and they drove away. It wasn't long before they got to the mine. The gold mine was very big, but it also had lots and lots of gold. Then Max and Maxer came to the mine - then there was trouble. Max had a gun and Maxer had a rifle. Mike used a nearby pickaxe to block the bullets. 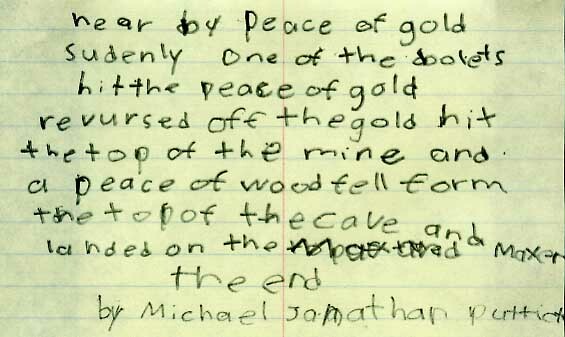 Jack used a nearby piece of gold. 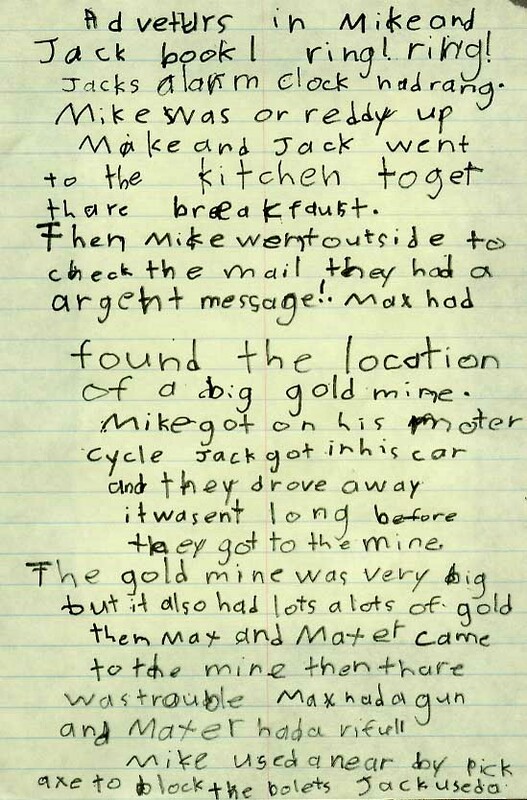 One of the bullets hit the piece of gold, reversed off the gold, hit the top of the mine and a piece of wood fell from the top of the cave and landed on Max and Maxer.